Starting today, Apple has released the latest iOS 11.3 software update and millions of iPhones will be updated with new features like a battery health tool, new animoji, newer version of Apple ARKit, business chat and more. To manually start the update, unlock your iOS device and go into Settings > General > Software update. There, you will see the iOS 11.3 software update, a big update weighing 2.18GB. Make sure you are connected to a Wi-Fi network and grab a cup of coffee or do something around the house as it will take a while for the update to download. Once the download is finished, you need to manually start the installation, which takes an additional 15 minutes or so. The whole ordeal took around half an hour. Before we go into the particular features, let's point out one thing that many users are saying: iOS 11.3 makes their devices run smoother and that could be one important reason to upgrade. So, with this in mind... what's new? iOS 11.3 brings a new Battery Health Tool feature to show the long-term battery status of an iPhone and to inform users whether a battery needs to be replaced. These new settings can be found in Settings > Battery and are available for iPhone 6 and later. This new tool comes as an Apple response to a user investigation in late 2017 that found the company has been quietly throttling iPhones and many people with an older iPhone experienced surprisingly slow performance. After the investigation, Apple apologized for not publicly disclosing why it is doing this and explained that it has started artificially slowing down iPhones with older batteries in iOS 10.2.1 to prevent an even more serious issue that is typical with older batteries and causes older iPhones to shut down unexpectedly. With this new battery health tool in iOS 11.3, users now get to see how much of its capacity does a battery hold in percentage and they can replace it and avoid issues with slower performance. A typical Li-Ion battery is usually considered to be in need of replacement when it loses 20% of its capacity, usually after about 500 cycles, or around two years on average. Additionally, users can now also see if the power management feature that slows down iPhones is on and can choose to turn it off. This feature can be found in Settings -> Battery and is available for iPhone 6, iPhone 6 Plus, iPhone SE, iPhone 6s, iPhone 6s Plus, iPhone 7 and iPhone 7 Plus. Keep in mind that the feature is still in beta and it will improve with time. 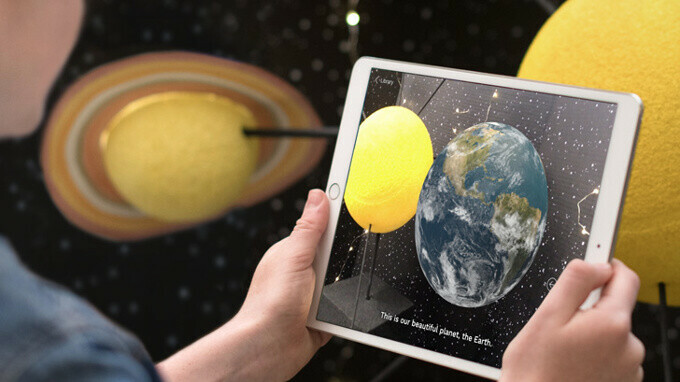 Apple has been a leader in augmented reality with the introduction of ARKit to millions of iPhones and iPads in iOS 11, and it now further improves it: iOS 11.3 introduces ARKit 1.5 that allows AR apps to now use vertical surfaces like walls and doors in addition to horizontal surfaces like tables and chairs. Also, ARKit 1.5 now better adjusts to irregular surfaces like a round table. The view of the real world seen through the camera lens now has a 50% higher resolution and supports auto-focus for a sharper perspective. 2D images like signs, posters and artwork can now also be integrated into AR experiences. Animoji have been one of the coolest iPhone X tricks and iOS 11.3 introduces 4 new animoji: lion, bear, dragon and a talking skull. Animoji use the sophisticated face recognition system on the iPhone X to map your facial expressions to a virtual avatar that can speak as you speak, sing as you sing and even perform karaoke hits. Starting with iOS 11.3, users can now chat directly with business in the messages app. This way, you will be able to skip the call and - hopefully - those long times on hold as well, and get the answers to your questions easier. Business chat starts as a beta in the United States and will be supported by the biggest stores in the nation including Apple, Discover, Hilton, The Home Depot, Lowe's, Marriott, Newegg, TD Ameritrade, Wells Fargo and more. Many more partners should join in in the future. You can look up a company in Apple Maps, Safari and Search, and you will get a shortcut to start a conversation with it, just as you would start a conversation with a friend. Good news is that this is not a service that will allow company to spam you with their promos: only you can start the conversation and the company cannot see any personal information about you, unless you choose to share for a shipment or something else. Best of all, most of these conversation will happen with a live agent and not a bot. iOS 11.3 also adds a new Health Records feature where patients can view their medical records from over 40 health systems including Duke, NYU Langone, Stanford and Yale right on their iPhone. The type of records that patients can see includes lab results, medications, conditions and more. Health Records data is encrypted and protected with a passcode, so it stays private and secure. A new data and privacy setting in iOS 11.3 gives users better information about how their personal data is being used by first-party Apple apps. How does it work? When you use an Apple service that requires your personal data for the first time, you will get a prompt asking you to allow sending certain personal data and a privacy icon will appear - two blue silhouettes shaking hands - and you will also see a detailed explanation of what's being done with the personal data that you are sending out. This new privacy feature comes at the right time for Apple, as more and more people are concerned about companies like Facebook and Google selling their personal data to advertizers or other parties. Apple, in stark contrast, is building a business with data privacy as its core value. The company says this particular feature has been in the works for months. Keep in mind that this new privacy feature mostly comes as a response to the EU's new General Data Protection Regulation (GDPR) that requires companies to provide more transparent information about the way they handle data. The GDPR regularion comes in effect starting May 25th. Apple Music now streams music videos uninterrupted by ads. Users can watch the hottest new videos, classics or ones from their favorite artists back-to-back in new music video playlists. Apple News makes it easier to stay up-to-date on the most important videos of the day with a new Video group in For You, and improved Top Stories. Commuters in Beijing and Shanghai can begin using Apple Pay on their iPhone and Apple Watch for an easy, fast and secure ride on Metro and bus lines. Apple TV app, a unified place for iPhone, iPad and Apple TV users to discover and start watching the best shows and movies, will launch in Brazil and Mexico. These markets join Apple TV app users in the US, Australia, Canada, France, Germany, Norway, Sweden and the UK. Brazil will gain Siri support on Apple TV 4K and Apple TV (4th generation), making it possible to search for and access movies, shows, songs, apps and more, using just your voice. 2.18 GB --> Will take a "few minutes" to download. Here , 700MB--> Probably takes an hour to download. If you have the beta, you probably have to roll back to a stable build in order to get the update. The business chat looks awesome. Very useful feature. Awesome write up Victor! Thank you. Also for me the update showed up as 700 MB on my 6S. It's still downloading, don't know if it's a two stage update or something. It was shown as 699.2 MB on my SE which already had 11.2.6. Battery Health is worth the upgrade alone. Other than that it's not the most memorable update. I have updated my old 6. The speed difference compared to 11.2 is massive, on 11.2 the phone was almost unusable, now it's like on ios 10. But the battery life is not great, and it seems they have raised the threshold for throttling, because i don't have the option when my battery health is 80%. Still, much better than good battery life, but very slow device. Yeah mostly app features that Google pushes through individual app updates which don't requite an OTA OS installation.